Residency Notes » Blog Archive » Should People Be Abel To Sell Their Replacement Parts? Should People Be Abel To Sell Their Replacement Parts? If All Else Fails We Can Just Put This Plastic Kidney In! Slate has a really great review over the debate of what to do about massive organ donation shortages and the black market to purchase organs around the world. The data from UNOS is disgusting and so, first and foremost you need to fill out an organ donor card, laminate it, and carry it with you. It is simply irresponsible to merely trust that your loved ones know your wishes. The most intriguing debate the Slate piece brings up is the suggestion that people should be able to sell their organs. Most notably we’re talking about living donors – such as for Kidneys. They link to this piece by Dr. Arthur Matas. He wants a single market system, dictated by the government. Who kidneys went to would still be determined by need, but now people could make living donations to strangers and get paid for it, possibly by some sort of insurance fund so as not to discriminate against the poor. He cites a discrepancy in the practitioner’s versus the average joe’s opinion on the legalization of organ selling (subscription required). I don’t buy the op ed Slate links to as one of two counter punches against Matas’ ideas. Here, in the same journal, other physicians refute Matas by claiming that a single payer system would decrease the incentive to donate. 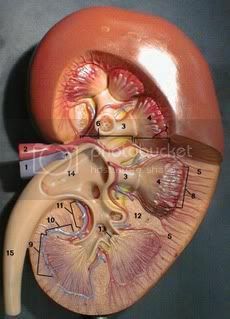 If kidneys could be bought, particularly if the government or an insurance entity was paying, then the temptation or even demand not to expose the potential altruistic donor to the risk that is intrinsic to the process could be overwhelming; and it is not only altruistic living kidney donation that could suffer. They fall short of evidence for their complete point though. Who cares if there’s a fall in altruistic donation as long as there’s an increase in total donation. It is true that such a single payer system would not eliminate the international black market for organs. Which I’ve commented on (also here and elsewhere). But it would probably increase donations and save lives. Personally, I would go further in decriminalizing sold organs. I find some hypocrisy in the legality of the ban over organ selling. I find some hypocrisy in physicians’ bemoaning the stratification of health care that would occur under such a system (a class of poor donors, a class of wealthy recipients). The proper route doesn’t seem for the government to regulate it, but for practitioners, if they believe it breaks their oaths or challenges their morality, to not be a part of it. Despite my support of one being allowed to do what he pleases with his own organs, that probably isn’t very realistic any time soon. What is realistic, although controversial in and of itself, is a network which gives precedence to those who are organ donors themselves. There are bureaucratic troubles with such a setup (when do you allow people to sign the organ donation card? on the operating table when they’re about to receive their new heart?) and there are moral challenges to it, but I think it is a great idea.